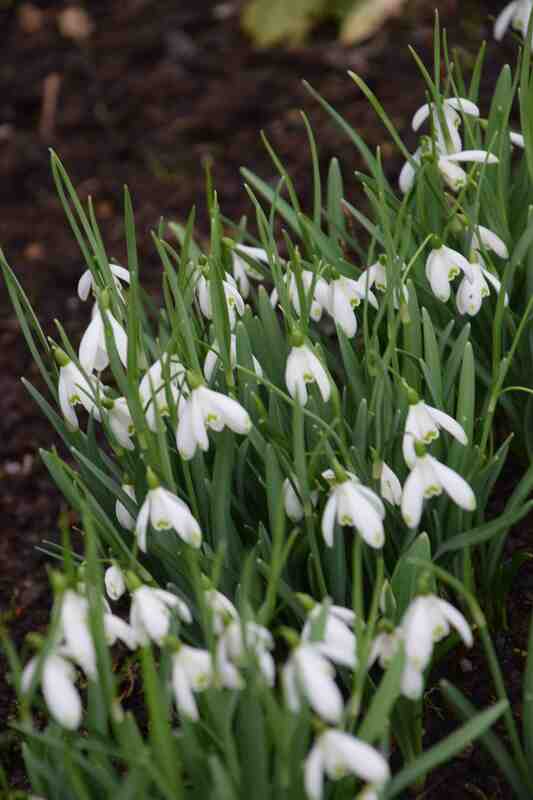 As promised, here are some of the snowdrops I saw yesterday growing in the collection at Altamont garden, Co. Carlow. The garden was made famous by Corona North, the daughter of Fielding Leckey Watson who originally laid out the grounds after he bought the house in 1924. Corona North developed the garden for 50 years until her death in 1999. The grounds are now maintained by the OPU (Office of Public Works). The house is, unfortunately, in a terrible state but, to their credit, the OPU have maintained the garden. 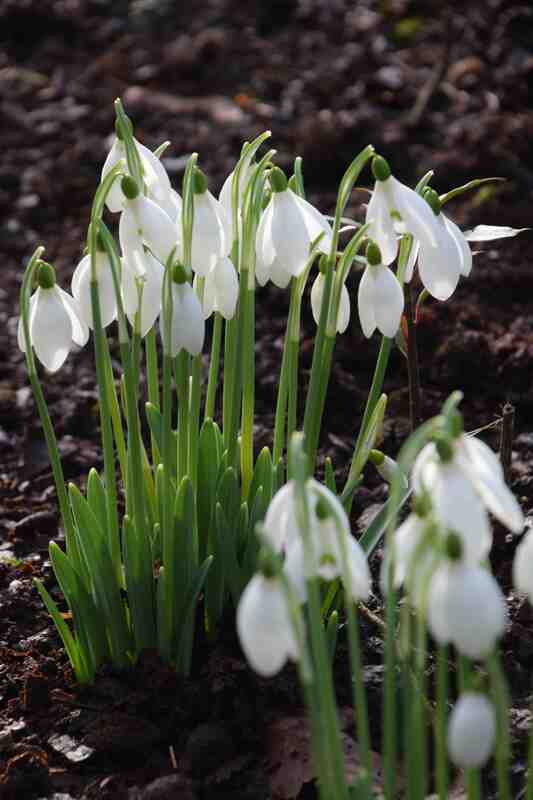 These are in no particular order but ‘Atkinsii’ is another good, reasonably-priced snowdrop and a good one to pick if you want an ‘improved’ snowdrop for extensive planting. It came from the garden of James Atkins in Painswick, Glos, UK but it was not bred by him but collected in Naples, Italy sometime prior to 1891. Traditionally this snowdrop is known to produce the odd extra petal on the ovary but apparently that is erroneous and the plant that does this is ‘James Backhouse’. 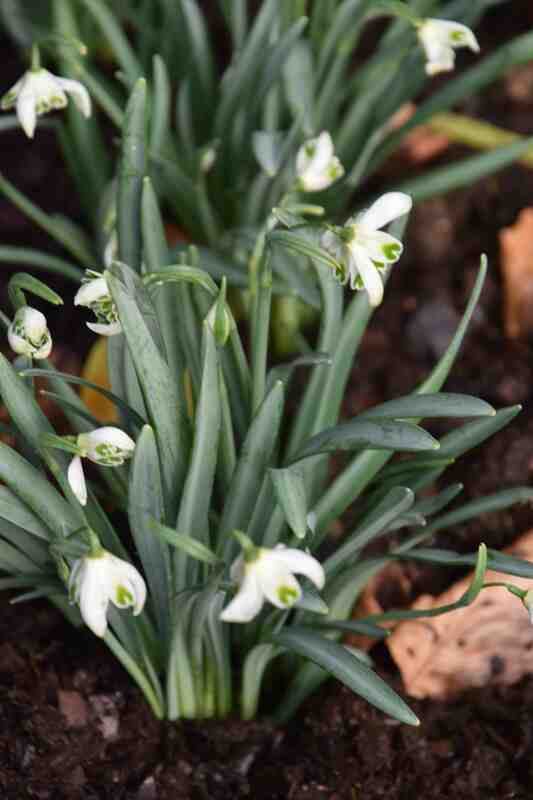 ‘Coolballintaggert’ was abundant in the garden but it may be no more than a synonym of ‘Straffan’, that excellent Irish snowdrop from Kildare that is unusual in producing more than one flower per bulb on strong plants. 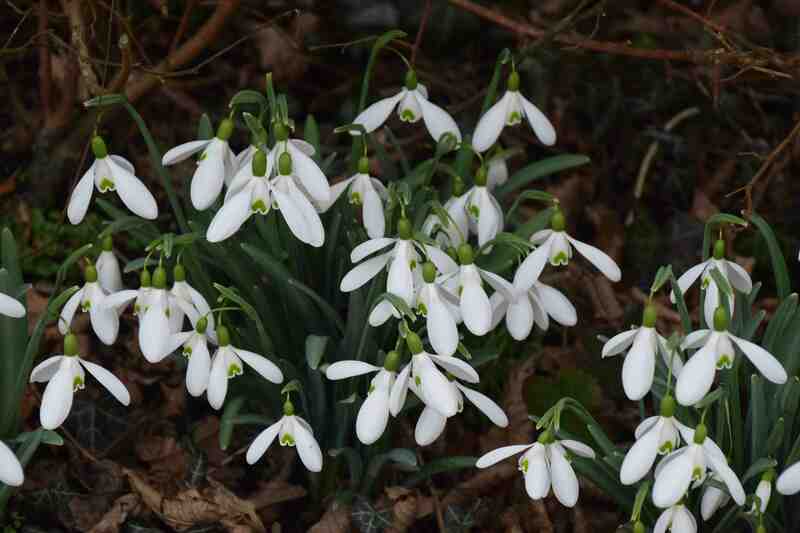 Some descriptions state that this is a giant – I am not sure of this but it is a substantial and showy snowdrop. 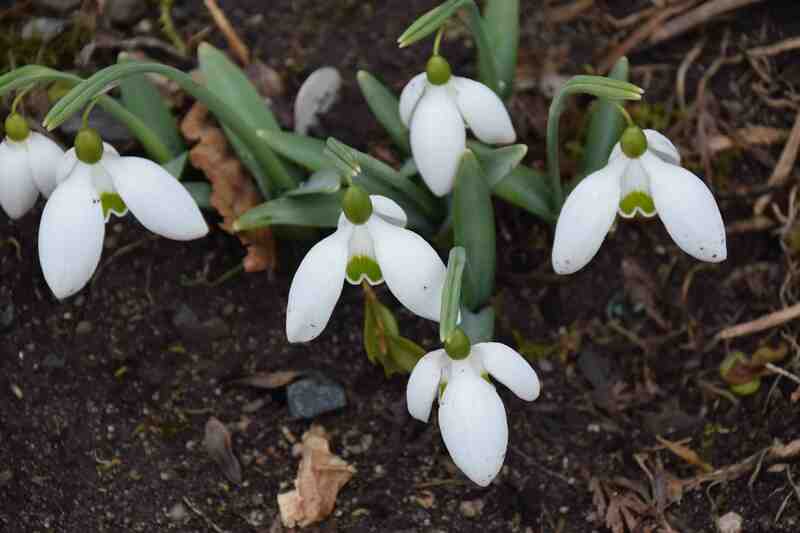 Galanthus elwesii ‘Helen Tomlinson’ did deserve the title of giant perhaps. All (well most) of the G. elwesii snowdrops deserve a place in the garden because their flowers are showy and their grey leaves are worth the space alone. But ‘Helen Tomlinson’ is a real show off with large blooms. 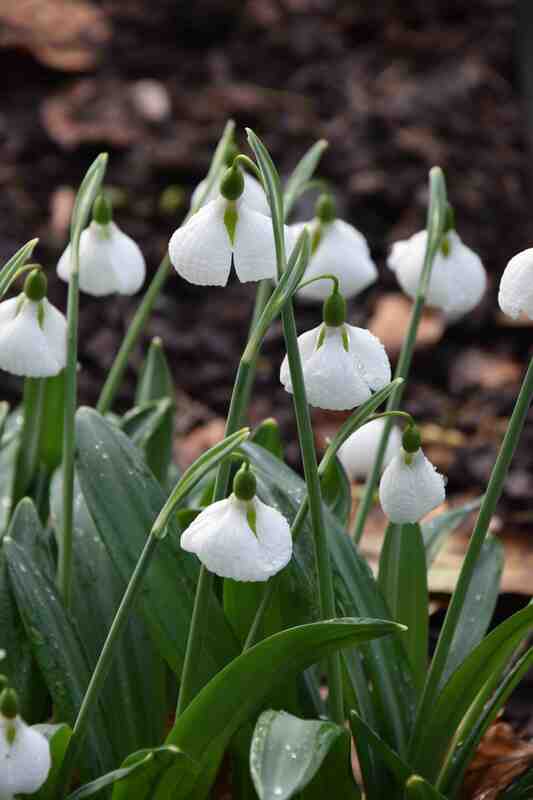 I cannot find out anything more about her other than the snowdrop is named after the lady of the same name – no great surprise there! Great plant though! Another G. elwesii cultivar, ‘Drummond’s Giant’ is of a loftier stature. It is difficult to show the variations in height of these plants but this looked as though it was nearing 30cm high. This is a local variety, having been ‘discovered’ by Stasia O’Neill. 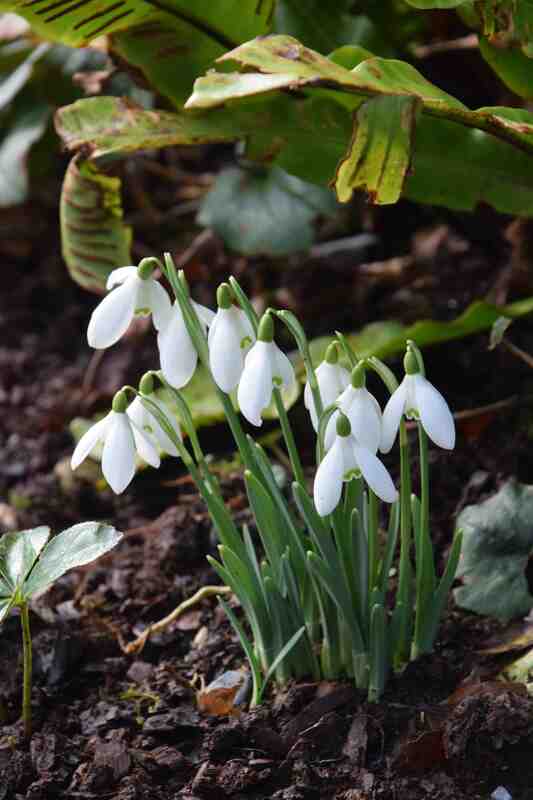 She bought a pot of snowdrops at Drummonds garden shop in Pembroke, Co. Carlow in 1958 and planted them in the garden where she left them for 15 years before replanting them and realising they were something special. she gave some bulbs to Corona North here at Altamont and it spread from here, sometimes being called ‘Mrs North’. 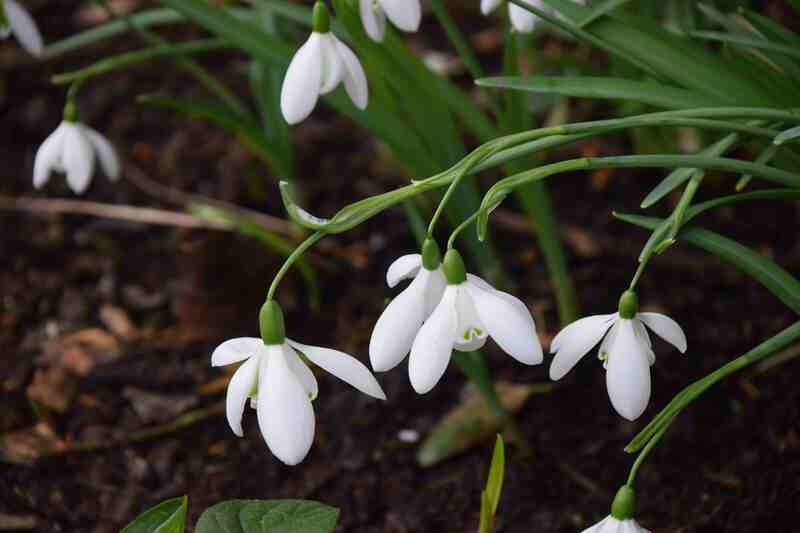 ‘Blewbury Tart’ is one of those love-or-hate snowdrops. It was introduced by Alan Street of Avon bulbs and discovered in Blewbury, Oxon and has nothing to do with blueberries! The double flowers tend to face upwards. ‘Scharlockii’ is another of my favourites (which I admit tend to be those that are hard to get mixed up!). It is a G. nivalis with green tips to the outer petals and the spathe is extended and split into two ‘donkey ears’. Apparently it was found by a John Scharlock in 1818 in the Rhine Valley in Germany. 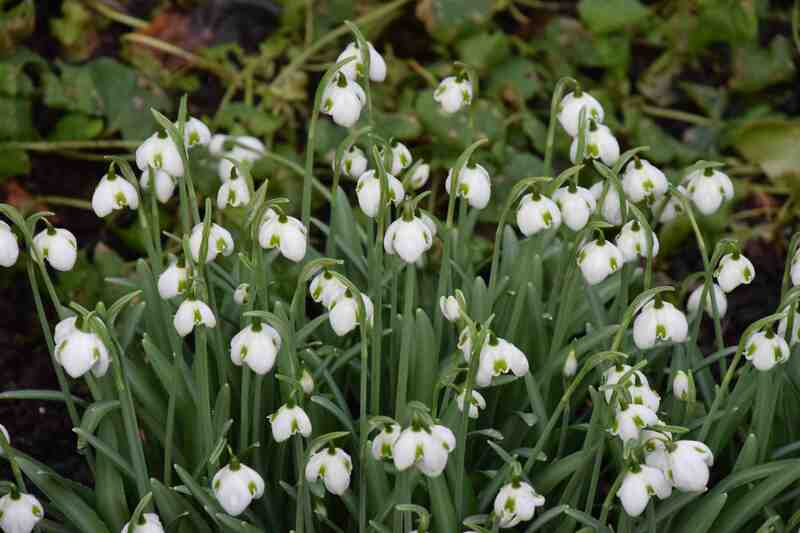 ‘Mrs Thompson’ is a famous snowdrop that is always ready with a surprise because the flowers can have just three or up to seven outer petals. Or it can have two, or one and a half, flowers on the one stem. It was discovered by Mrs Thompson in Escrick, York, UK in 1950. 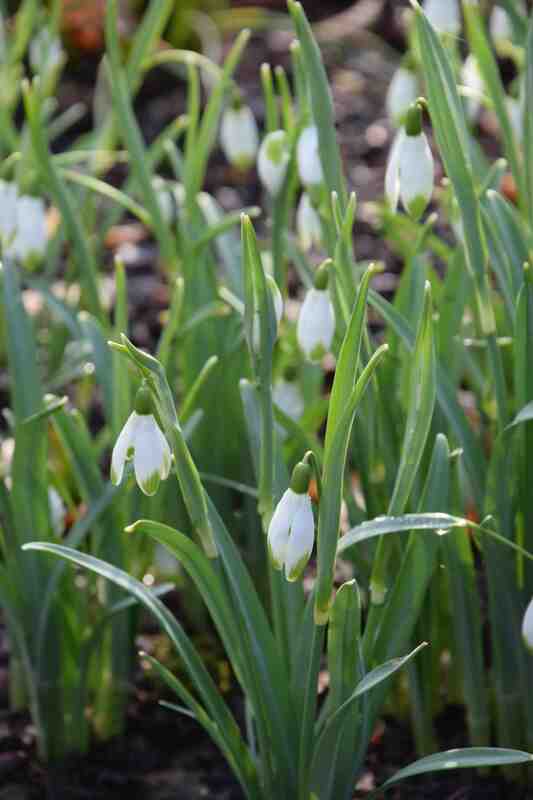 Galanthus ‘Lerinda’ was planted extensively at Altamomt and is a large, showy snowdrop. It was selected in the 1970s by Ken Aslet, former superintendent of the rock garden at Kew. It was offered commercially for the first time in 2001. ‘Dodo Norton’ is a tiny giant! It is in the ‘Mighty Atom’ Group with its small stature and big flowers. It was discovered in the Ditch Garden at East Lambrook Manor, the garden made famous by the late Margery Fish and it was named after the wife of the owner at the time. ‘Hippolyta’ is one of the ‘Greatorex’ hybrids. These were raised in Brundall, Norfolk, UK. Brundall is better known for the mint which bears its name, being the preferred variety used in mint sauce by the locally based mustard company! I always assumed that ‘greatorex’ was either a place or some sort of description of the plants but it was actually the name of the raiser. But no, it was the splendidly named Heyrick Greatorex. 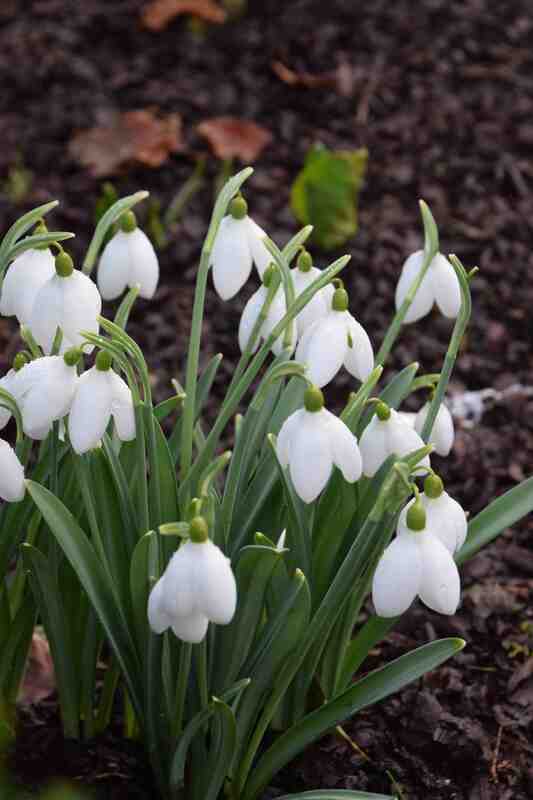 Although a commissioned officer in WW1 he later became reclusive and devoted some time to breeding snowdrops in the 1940s, corssing the common double snowdrop with Galanthus plicatus. 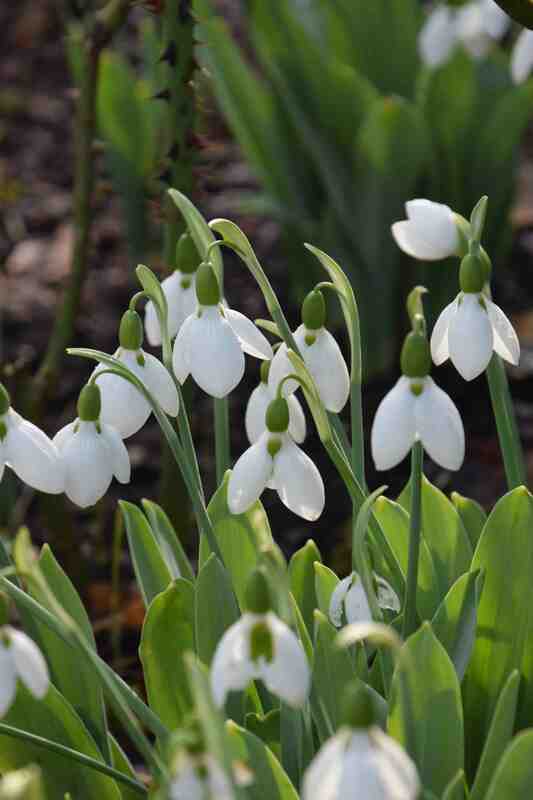 His double snowdrops, all named after Shakespearean characters, have stood the test of time and are large, strong-growing and great garden plants. I posted about this one yesterday but it is so unusual I couldn’t resist another mention. ‘Diggory’ is a G. plicatus hybrid. It was found in a garden near Wells, north Norfolk, UK by Richard Hobbs and Rosie Steele in 1993. As mentioned yesterday the outer petals are large and puckered like seersucker and the tips curl under very distinctively. It is named after Rosie Steele’s late son, Diggory Birtles. 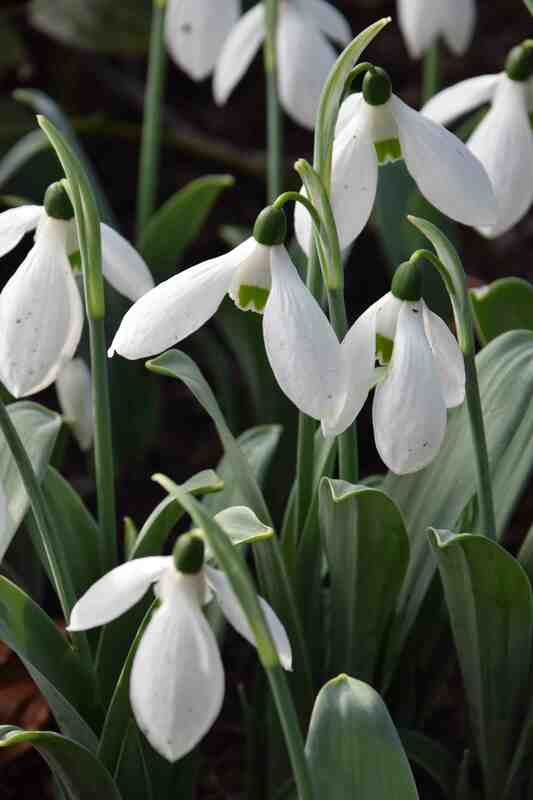 ‘Bertram Anderson’ is reliable and deserving of a place in any snowdrop-lover’s garden. It was found in the garden of the man of the same name soon after his death in 1971 when Chris Brickell visited the garden and selected it for naming because of its large flower and vigour. It has broad, greyish leaves and large, rounded flowers of heavy texture. It grows well and the stems hold the heavy flowers above the soil well. ‘Wisley Merlin’. 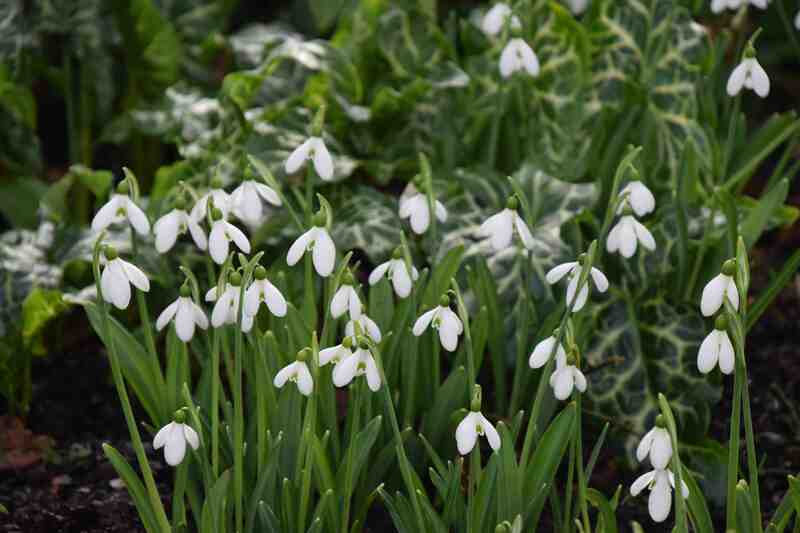 ‘Merlin’ is a lovely snowdrop with large, rather stout blooms and the inner petals are completely green, apart from a white edge, which makes the flowers very attractive when fully open. This clump was labelled as ‘Wisley Merlin’ which seems odd. Perhaps it is like ‘Merlin’ in other ways. 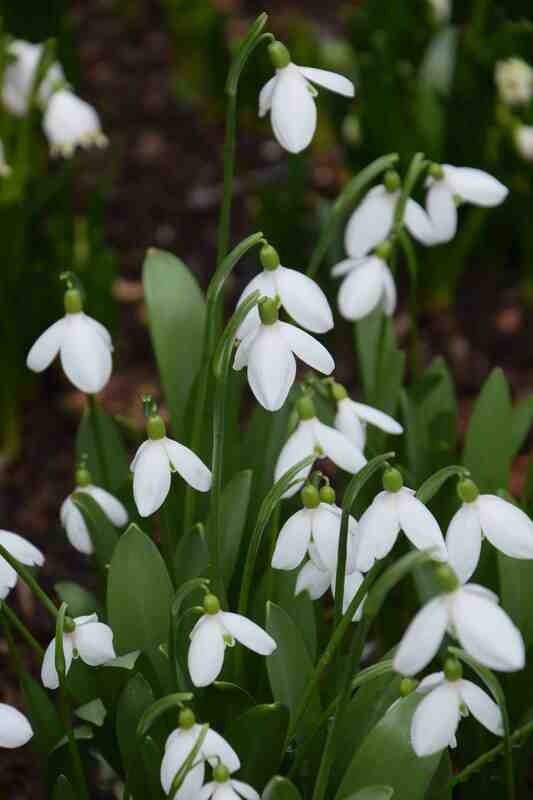 I know from experience how clones vary and how, when I tried to identify snowdrops from Myddelton House at Wisley, supposedly distinct plants such as ‘Magnet’ varied a lot. 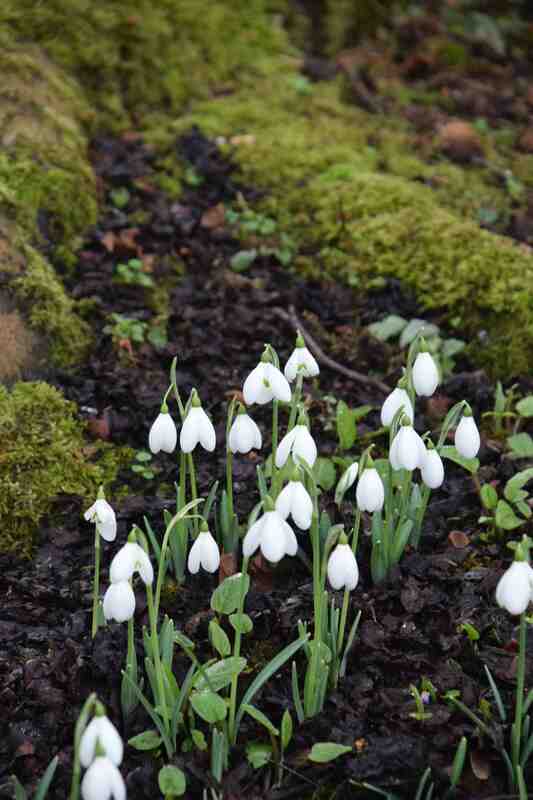 ← More snowdrops at Altamont! Yes it does seem that a lot of the good ones are from Norfolk! I remember seeing all the masses of wild ones around Walsingham years ago. Very nice! I think they call that habit of bending downwards ‘pendulous’. They sure are very pretty.